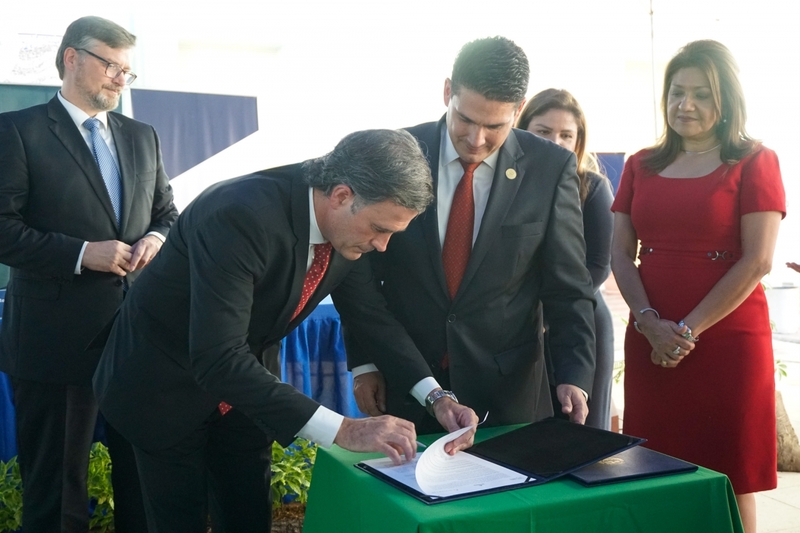 The program will be implemented in El Salvador through a partnership with the municipality of Santa Tecla and in Colombia through an agreement with the Colombian Red Cross to help migrant populations in the country. Novartis has signed an agreement with the municipality and the Patronato of Santa Tecla in El Salvador to distribute the Novartis Access portfolio to low-income patients with non-communicable diseases (NCDs) in this community. Beyond medications, the collaboration will also help train health professionals in NCD diagnosis and treatment, and promote education and awareness in the local community. In addition to El Salvador, Novartis Access will be implemented in Colombia through a partnership with the Colombia Red Cross, which will supply the medicines to Venezuelan migrants without health coverage in the care units that the organization has installed in various cities in the country. According to the Pan American Health Organization, approximately 200 million people suffer from chronic diseases in Latin America. Every year, NCDs are responsible for the death of approximately 3.9 million people, including 100 million due to diabetes and 2.5 million to cancer. NCDs do not only affect the elderly; one third of deaths due to non-communicable diseases in the region occur in people under 70. Novartis Access is committed to help fighting chronic diseases in underserved populations. The portfolio, which includes 15 medications to treat cardiovascular diseases, diabetes, respiratory diseases and breast cancer, is offered to governments, nongovernmental organizations (NGOs) and other public health care providers in low and middle income countries for USD 1 per treatment, per month. Novartis Access is part of , a unit that comprises several programs including the Novartis Malaria Initiative, and Novartis Healthy Family, supported by digital enabling platforms. "I want to thank Novartis for contributing to the well-being of Salvadorans. I also want to thank the Patronato Progresando en Familia for all the steps it has taken to develop this initiative. This strategic alliance is the beginning of a humanitarian project that will benefit, through access to low-cost medications, patients with limited resources who suffer from chronic diseases and receive assistance from church clinics, NGOs, foundations, and the Patronatos of the country's various municipalities. 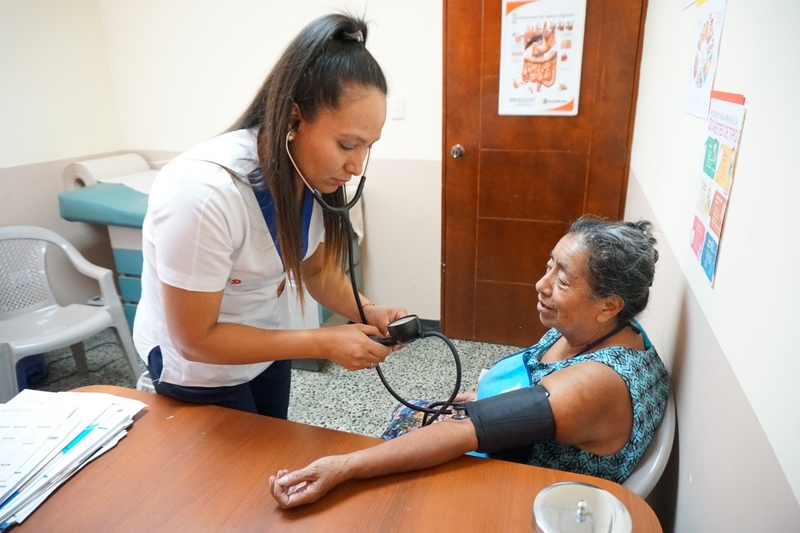 With this project we are giving one more step towards our objective to strengthen the healthcare services offered to the people of Santa Tecla who come to our clinics and we trust that the benefits from this program can expand throughout the entire country". "From Patronato Progresando en Familia, we feel very pleased, through our strategic alliance with Novartis, to be able to continue helping Santa Tecla by offering low-cost medication to those with limited economic resources. On behalf of Patronato, I would like to thank Novartis for trusting us to become its ideal partner in establishing this alliance that will benefit thousands of people from Santa Tecla and, in the future, to many other communities in El Salvador."